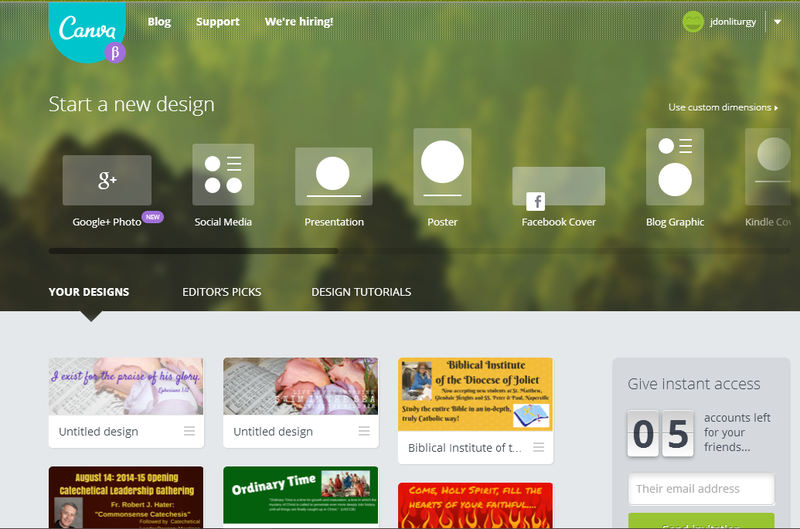 Pinterest, the popular newcomer to social networking that focuses on images and allows you to create interest-based “boards” is a great tool for sharing visual links to catechetical ideas, images, videos, projects and more and more. Basically a virtual bulletin board on which you can pin any web link that has an image associated with it, it is a favored site of crafters and art-lovers, but there are a great many Catholic boards to be found, as well as boards associated with technology ideas. Some major Catholic organizations and publishers such as the Diocese of Cleveland and Our Sunday Visitor have boards as well. The search function at the upper left enables you to find virtually any topic. 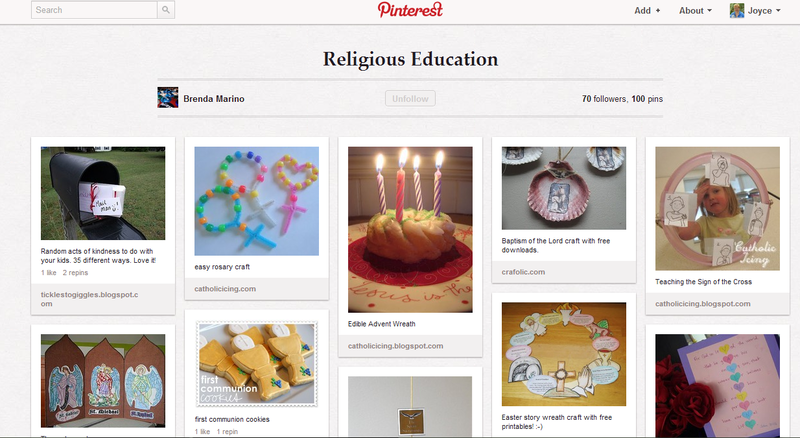 To see how catechists and Catholic home schoolers are using Pinterest, simply put “Religious Ed” into the search box. Searching for “catechesis” gets another series of results. Some catechists use Pinterest to bookmark and share craft and teaching ideas. This sample of a Religious Education board is a great inspiration piece. As you can see, this catechist includes crafts, recipes, seasonal items, lesson ideas and more. What’s more, exploring pins on a board like this will connect you with other sources of catechetical ideas. Since the age-requirement for Pinterest is 13, like Facebook and other social networks, it is more likely a catechist of children would use it to connect with parents or other catechists. A board for a parish program, for instance, could be a great place to pin resource ideas for catechists and parents in the program, including links to helpful videos and articles. 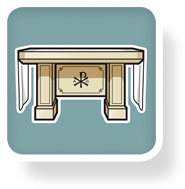 Pinterest can also be a source for images and bookmarks to great items for obvious catechetical themes, such as Eucharist , Saints or Sacraments. Since Pinterest is a public space which includes many people who are not Catholic, it is necessary to sort and filter posts for appropriateness and Catholicity of some items, but it is likely that usage will continue to grow and more Catholics will pin their favorite links to boards for you to discover and share. How do you use Pinterest? Are there more ways a religious educator can make use of it? Please add your ideas in the comments. Jing is a free, versatile and simple screen capture tool that “lives” on your desktop – ready to capture anything on your screen, from images to video clips. That makes it a great tool for sharing snapshots of web pages, marking up those images, creating scrapbooks, and more. Jing, which you can find here, allows you to do many things – including creating up to a 5-minute video which can be saved to the free Screencast account that you set up when you first use Jing – or to your computer’s hard drive. You can view a brief “overview video” on the Jing page, which talks about some of the features. When you download and first open Jing, it will create a yellow-circle “sun” desktop widget that your can move wherever you want to on your desktop. It remains visible above your browser for instant accessibility. You can access the ability to create a screen or video capture at any time by simply mousing over the yellow circle and choosing one of the smaller circle on the lower left to activate the cross-hairs that define your capture. Here is one of the better tutorials on how to use some of Jing’s basic features . How can Jing help in a catechetical setting? Parish leaders, teachers and catechists can use it to create short videos to show parents how to register online for a program, or to show how to navigate a particular website. It can be used to create a scrapbook of resources that can be posted on a web page or document that can be emailed. Teachers and students can use it to share their work – because it makes screen-shots simple and editable. Take a look at TechSmith’s testimonial page for educators for even more ideas. I personally use Jing regularly to capture and instantly crop images, especially those that don’t readily respond to a right-click “save image as” command. I sometimes mark them up or edit them as well through the tool. It’s simple and it’s always at the top of my computer screen. If you have comments or ideas for how to use this great free tool, please comment below. ScreenChomp from TechSmith Corporation is an easy-to-use screencast app for the iPad that allows a parish leader, teacher or catechist to create a lesson plan, a set of directions, a learning module or more, as a simple video which can then be shared on a Facebook page or emailed as a link. The interface is actually a recordable whiteboard, with an option for background. Once video is created, students or parents can then view it on ScreenChomp.com. The instructional video on the TechSmith site even suggests this can be used by students themselves to share homework help, so that opens possibilities for collaboration. Great features include the ability to draw while you are recording your verbal instructions, using a variety of colors and widths of marker, to erase, to set a picture background which can be drawn on. You can scroll the background, and even to push the picture off the screen so that the blank whiteboard surface appears – then scroll it back. Simple one-touch controls and user-friendly drawing tools make this a great option. The ability to connect with DropBox means you can add backgrounds from another source, or even attach a PDF. 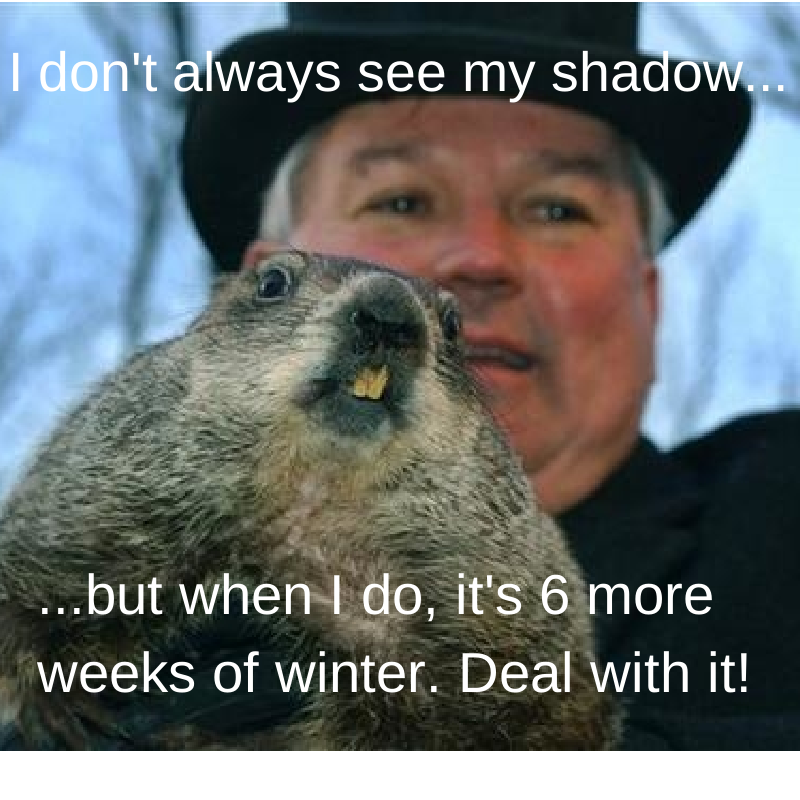 If you find this post useful, please click “Like” – and share this with others in ministry. Be sure to add your comments on how you have used or think you might use ScreenChomp in your ministry.